Time-series data is everywhere, and Timescale is helping developers and companies make sense of it. Businesses worldwide trust TimescaleDB for mission-critical applications from industries as varied as manufacturing, finance, utilities, telecom, mining, ad tech, oil & gas, and the smart home. Applications built on TimescaleDB include complex monitoring systems, industrial machine data analysis, geospatial asset tracking, operational data warehousing, and financial risk management; via the edge, on premise, and cloud deployments. 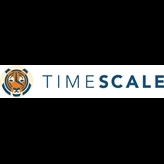 Want to get notified about new jobs at Timescale, Inc. ?